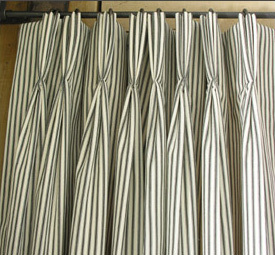 Triple pleat or ‘pinch pleat’ curtains have a classic formal finish making them ideal for sitting rooms or dining rooms. 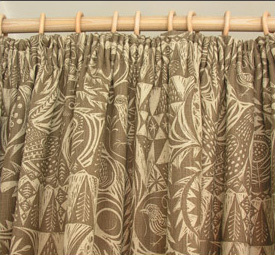 Cartridge pleat curtains lie flatter and are excellent for large or distinctive print fabric making the pattern easier to read. 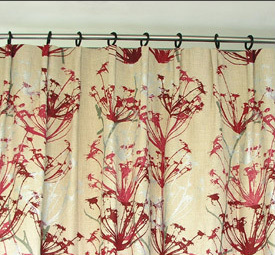 Pencil pleat curtains have a soft informal look, making them a popular choice for bedrooms or cottage interiors.